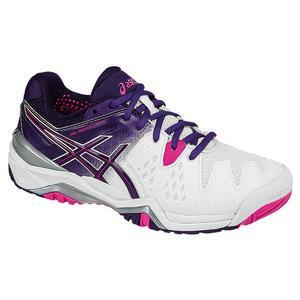 Lightweight shoes are a must for anyone that likes to feel connected to the court surface. Tennis players need to make a lot of side to side cuts, including frequent stops and starts. That’s hard to do if you are wearing a clunky tennis shoe with a lot of rubber outsole. Pro tennis players have worked with sneaker designers to develop smarter, not bigger outsoles for court shoes. New advances in rubber technology produces a shoe that is lightweight enough to feel like a running shoe, but durable enough that you won’t have to replace them every couple of months. That’s good news for players out there that play twice a week or more. If you find that your lightweight shoes are wearing out too quickly, we’ve compiled this list of top shoes and a video review to help you choose your next pair of shoes that will last longer! If you’re like me, you sometimes suffer from sleepy feet syndrome. Lucky for us, Asics has designed the Asics Gel-Solution Speed 3 Shoes. The low profile of this shoe has made it popular for all levels of players, and the gel technology hugs your foot into place for maximum comfort. Asics also cares about durability, so a toe protector is included to prevent break through holes for toe draggers. What sets this shoe apart from other Asics models is a lighter weight midsole material that won’t weigh you down when you’re running down that drop shot! Nike has a reputation for its sneaker technology, and the Nike Zoom Vapor 9.5 shows it off in full style! There’s a reason that pros like Venus Williams and Petra Kvitova use this shoe on tour. It’s specifically designed to fit a woman’s foot, and is perfect for match day play! The Zoom unit in the heel helps cushion your foot, but brings the foot closer to the ground enabling aggressive movement. Nike takes the best technology from running shoes and translates it into a court shoe that will keep you on your toes! 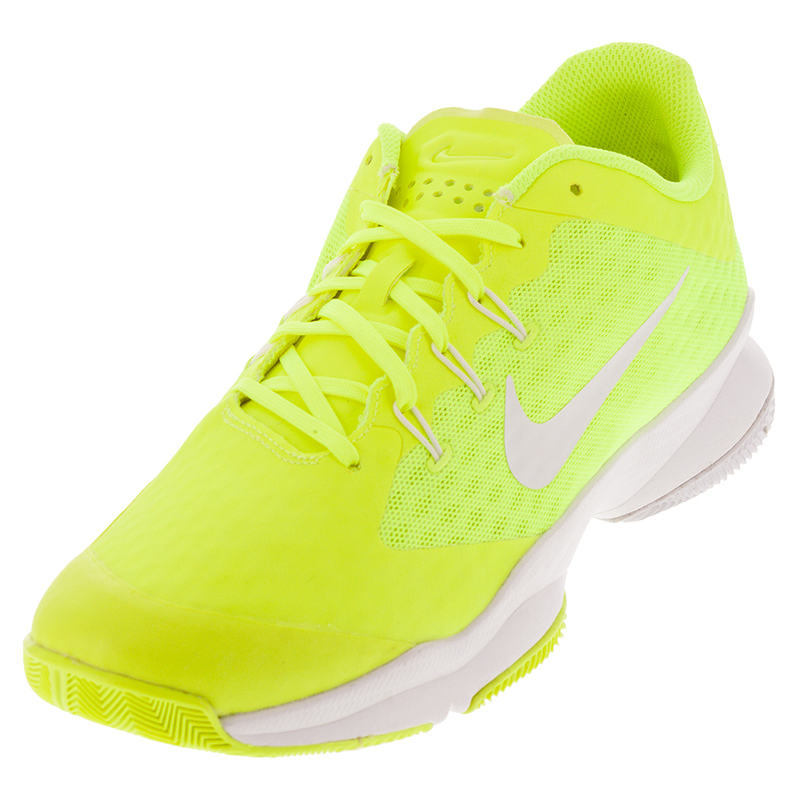 Another Nike shoe that makes our list of top lightweight shoes is the new Zoom Ultra. I’ve been wearing these shoes exclusively for match play for the past couple of months, and they’ve been working out well. They don’t weigh my feet down and they fit like a glove. The outsole is minimized, but sturdy enough to provide cushion and absorb shock. The zoom unit in the heel provides a lot of comfort and the unitongue and upper are made of a super lightweight material that doesn’t apply any pressure to the top of my foot. Be the first of your friends to sport this new design and watch your friends follow suit quickly! Check out my video review! 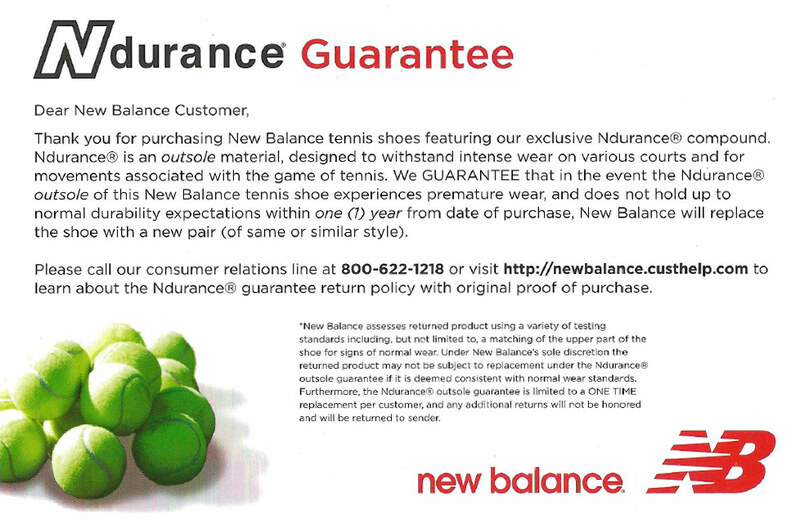 New Balance is a company focused on the health of your feet. Runners have long since turned to New Balance shoes for the comfort and stability they provide. 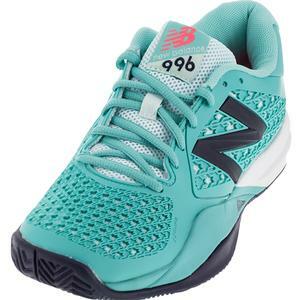 Lucky for us, New Balance has used this same technology in developing the 996v2 shoes especially for tennis players like Heather Watson. Ndurance Rubber outsole provides protection in high wear areas, but is light enough that you don’t notice the extra outsole. These shoes also come backed by a one year warranty, which is rare in the world of lightweight shoes! Last but not least, let’s take a look at the adidas Adizero Ubersonic 2 shoes. Comfort is definitely not sacrificed in these ultra light shoes thanks to the clever OrthoLite inner liner and the unitongue construction helps customize your fit to keep your foot in place, no matter which direction you move. The outsole features adiWear, an extremely durable, but light rubber used in high wear areas to stand up to the toughest court conditions. I love these shoes because I can confidently wear them either on clay or hard court, because of the modified herringbone tread. These shoes feel light, but provide the sturdiness and comfort every player’s looking for on court! 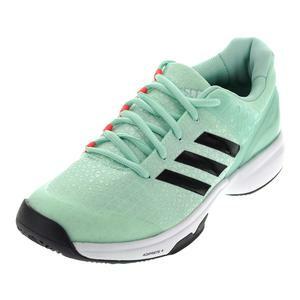 See all of the lightweight options in shoe wear offered by Tennis Express by visiting our page for Womens Best Lightweight Shoes.